Rift risks further fracturing the Gulf Cooperation Council. The demands are the culmination of a dispute that came to the fore on June 5. The Four have cut diplomatic ties with Qatar, shut down all transportation links with the emirate and ordered its citizens to leave their countries. Doha has not explicitly retaliated to any of these measures. Indeed, Qatar continues to provide around a third of the UAE’s natural gas supply via the Dolphin pipeline. However, a noticeable uptick in anti-Saudi and Emirati stories on Al Jazeera has been apparent in recent days. Tensions between Qatar and its Gulf neighbours aren’t new. Throughout the 1990s the peninsula-nation squabbled with Saudi Arabia over border disputes, leading to skirmishes in 1992 and 1994. In 2002, Riyadh suspended ties after criticism of the Saudi royal family was aired on Qatar-owned Al Jazeera. The neighbours resolved their differences in 2008, ushering in a period of warmer relations. Buoyed by explosive, hydrocarbon-fuelled growth (the economy grew by a factor of six between 2000 and 2008), Qatar began to forge a reputation as an independent arbitrator of regional disputes in the mid-2000s. Doha mediated resolutions to sectarian-tinged disputes in northern Yemen and Lebanon in 2008, relying partially on its good relations with Iran—much to the chagrin of Saudi Arabia. Emboldened by its successes and flush with cash and soft power from its burgeoning Al Jazeera media network, Qatar’s foreign policy became more ambitious after the 2011 Arab Spring. Qatar has long-standing ties with the Muslim Brotherhood dating back to the 1950s when members of the Islamist group were given political asylum. 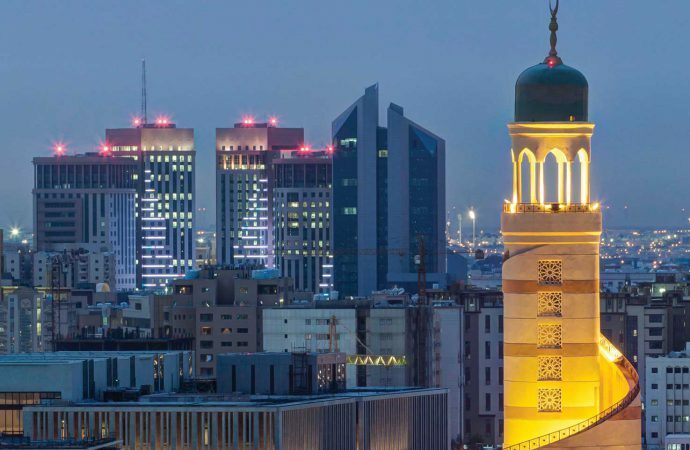 Doha has since established itself as a hub for exiled Islamists—such as Hamas’ Khaled Meshaal and prominent Egyptian cleric Yusuf al-Qaradawi—and sought to leverage its close ties with these senior figures to influence regional politics. Qatar’s biggest power play came after the overthrow of Egypt’s Hosni Mubarak in 2011; Doha supported the Muslim Brotherhood’s Mohammed Morsi, who claimed the presidency in 2012. Sidelined by the speed of events, Saudi Arabia’s rulers were left stunned by the ousting of Mubarak—a long-time US ally who had been abandoned by the Obama administration. Fearing a similar fate the Kingdom’s rulers ramped up efforts to clamp down on political Islam. While Qatar’s extreme wealth and a small, centralised population affords its rulers significant domestic stability, Saudi Arabia has none of these things. At 32 million and counting, the Kingdom’s population is large and has been pacified by large social spending programs. A reduction in oil revenues, combined with youth unemployment and a sizeable disenfranchised Shi’ite minority, makes the government particularly vulnerable to Egypt-style revolutions in the future. Recognising this, Riyadh has sought to eviscerate the Muslim Brotherhood. Following the return of military rule in Egypt in 2013, Saudi Arabia, the UAE and Bahrain designated the Muslim Brotherhood a terrorist group and subsequently increased their support for strongmen in Egypt, Libya and Yemen (Sisi, Haftar and Hadi, respectively). Meanwhile, Qatar has continued to support Islamist groups across the region—most notably in Libya—drawing the ire of the Saudis and Emiratis. Along with financial and political support, Qatar stands accused of deploying its influential media network, primarily Al Jazeera and its affiliates, to win the hearts and minds of the Arab Street. Saudi Arabia, the UAE and others have repeatedly complained about the satellite channel and urged the Qatari government to reign it in. Such divergent regional agendas came to a head in March 2014, when Saudi Arabia, the UAE and Bahrain withdrew their ambassadors from Qatar, accusing it of interfering in their domestic affairs. This row was diffused by the signature of the Riyadh Agreement. 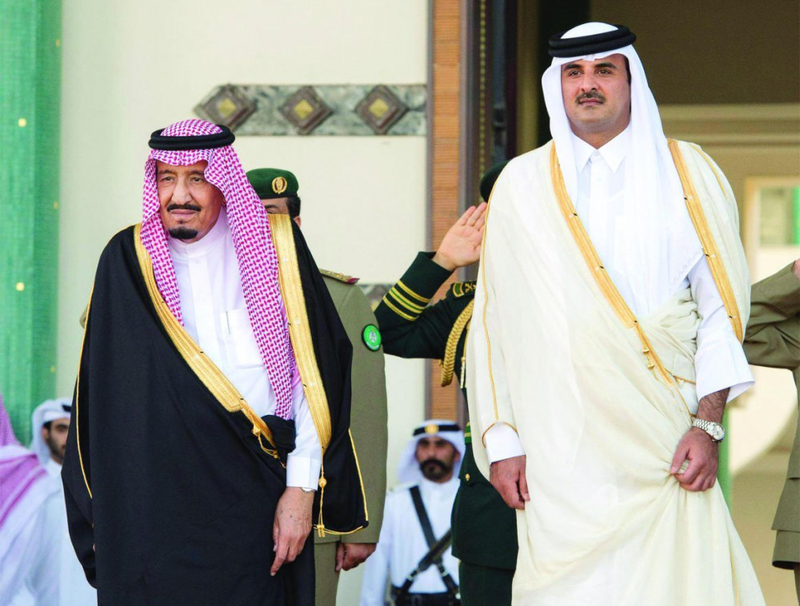 While the document was never made public it reportedly stipulates that Qatar dramatically curb its support for the Muslim Brotherhood and related movements and expel prominent figures from Doha. A small number of Brotherhood figures have since relocated to Turkey but The Four say Qatar has failed to live up to its obligations under the arrangement. On announcing the break in relations on June 5, a Saudi statement accused Doha of “infringing on its sovereignty”, “destabilising the region” and “dividing internal Saudi ranks”, among other things. Qatar’s continued warm relations with Iran—with which it shares the world’s largest natural gas field—has also irked Saudi Arabia. However, GCC members Kuwait and Oman also maintain warm ties with Tehran and haven’t been subject to embargoes. This suggests it’s Doha’s support for regional Islamists, not its ties to Iran, that is the major irritant to its neighbours. It is highly unlikely that Qatar will agree to the 13 demands made by the Saudi-led group—indeed, they appear to be designed to be rejected. In early June, Qatari Foreign Minister Mohammed bin Abdulrahman al-Thani insisted his government would “never be ready to surrender the independence of our foreign policy”; the substance and tone of the demands mean direct compliance would amount to a complete capitulation of Qatar’s sovereignty. The Saudi-led bloc is yet to outline what repercussions will follow if Qatar refuses to meet its demands. At the very least, it can be assumed The Four will maintain their diplomatic and economic embargo, and possibly increase it. An extended diplomatic crisis will heap pressure on Qatar’s economy, but also risks fracturing the Gulf Cooperation Council. Some $13 billion has been wiped from the Qatari stock market since the crisis began on June 5. These losses are likely to increase in the short-term as investors grow increasingly nervous about a sustained embargo. Reports also indicate large institutional investors in hostile countries may be intentionally dumping stocks in a bid to “damage the market”. 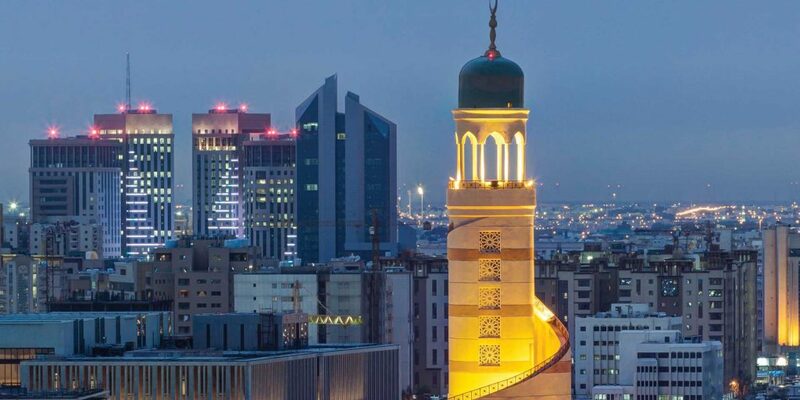 The Saudi Chamber of Commerce also signalled that some 300 companies would exit the Qatari market over the coming weeks. The pressure on Qatar’s currency is also mounting. 85% of the country’s residents are expats seeking tax-free earnings. Uncertainty over the political crisis is leading many to exchange their Qatari riyals for other currencies, pushing the riyal lower. This, in turn, puts pressure on the riyal’s peg to the US dollar. While the country’s central bank says it’s committed to maintaining the peg, any extreme geopolitical flare-ups could spark panic among the two million expats, resulting in extreme pressure on the peg, which will burn up Qatar’s large foreign reserves. Ultimately, however, the mainstay of Qatar’s economy—its gas exports—will remain unaffected. The country exports some 70% of its gas via LNG tankers, which are free to sail international waters. With hydrocarbon revenue rolling in, the emirate’s economy will roll on. An extended diplomatic crisis will push Qatar to seek support elsewhere. Iran has already begun delivering substantial food aid to the emirate, while Turkey has stood resolutely by its Gulf partner. A prolonged embargo could push Qatar to seek closer economic relations with Tehran out of necessity—splintering whatever was left of Gulf unity and damaging Saudi Arabia’s plans for regional hegemony. However, while Doha will seek to maintain relations with Iran, a large swing towards Tehran is unlikely as it would harm (perhaps fatally) prospects for rapprochement with The Four. Turkey has also emerged as a steadfast Qatari ally. The government has sent large amounts of food aid to ease embargo-related shortages. Meanwhile, the Turkish military base named in the list of demands has received two contingents of Turkish troops since the crisis began. On Friday, Turkey’s defence minister rejected calls to close the facility, instead insisting that reinforcing the base “would be a positive step in terms of the Gulf’s security”. Relations between Turkey and Qatar are very strong. The two governments share a similar pro-Islamist regional outlook and support similar groups in Syria and Palestine. If the current dispute endures, Turkey will emerge as Qatar’s most influential ally (it probably already is). Ankara may also play a role in brokering a solution to the current crisis, although will be careful not to do too much harm to its relations with the Saudis, which has proven lucrative in the past. Ultimately, it is likely that Qatar and its neighbours will come to an understanding in the coming months, probably based loosely on the 2014 Riyadh Agreement, which would see Qatar reign in its support for controversial regional groups.